Advertising, at its core, involves some kind of deception. It’s the marketing team’s sleight-of-hand—the innate ability to turn mediocre into extraordinary when you’re not looking. Think back to the last time you saw a commercial for a new pickup truck or crossover. The commercial likely featured breath-taking vistas, treacherous off-road tracking shots, and otherwise unlikely scenarios—at least for the majority of consumers. Chevy’s “Real People” ads aren’t new; however, consumer advocates are criticizing the company’s latest commercial—and for a good reason. The new ad dubiously cites a study that claims Chevrolet has a more reliable lineup than several competitors. Chevy makes bold claims in the ad, citing the study from Ipsos, a Paris-based market research company. The Detroit automaker claims Chevy is more reliable than Ford, Honda, Toyota, and 23 other brands. Except the study involved 2015-model-year vehicles that were in service from December 2014 to June 2015, according to Automotive News. 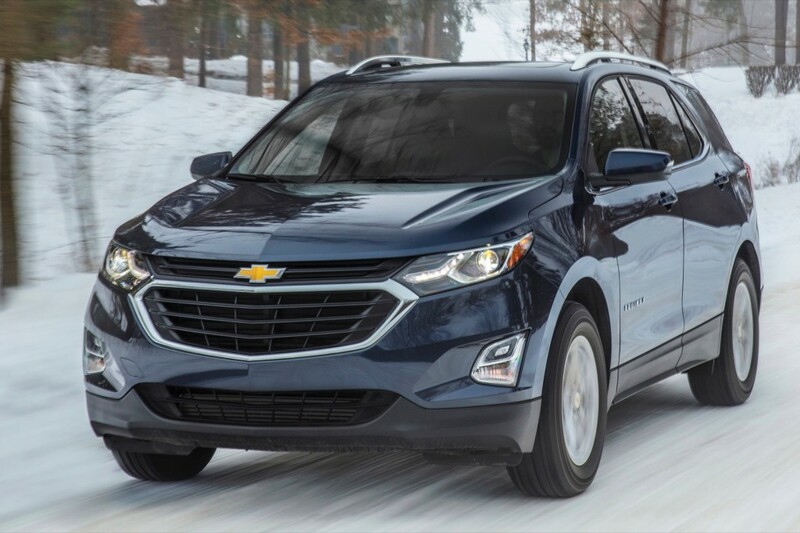 While the information from the study is accurate, much of Chevy’s lineup has changed— the ad featured the Chevrolet Equinox, Traverse, Malibu, and Silverado. All four have gone through major redesigns since 2015. Consumer World, the Massachusetts consumer advocacy group, wants Chevy to pull the ad; however, the automaker is standing by its commercial and “will continue to run the ad,” according to AN. The problem Consumer World has with the ad is Chevrolet is promoting new vehicles alongside data from older, out-of-production models, which is misleading. There are other issues, too. The Ipsos study surveyed some 48,700 owners on parts replaced or repaired over the last 12 month, which did not include things such as fluids, filters, or accidents. Compare that small sample size and data to Consumer Reports, which has 500,000 vehicle responses spanning from the 2000 to the 2018 model year. The larger data set allows CR to explain better which automaker has better reliability. This is just HILARIOUS, and in my opinion an outright LIE. Of course we here all know its just GM’s way to try to get back at CR for dissing the new BLAH interior of the new GM truck. The FACT is that GM would NEVER want a survey of REAL GM owners to ever be gathered properly. This data would show GM doesn’t have a leg to stand on based on ALL the REAL owners. The REAL GM owner ” might get a survey, IF they have given GM a good rating in the past. BUT a REAL GM owner would NEVER get a survey if they have EVER ONCE given GM a NEGATIVE rating. By taking surveys this way GM only surveys GM owners that are happy with their vehicle and DISGARDS those who are NOT. In my opinion, in todays world, everyone is playing a GAME of who is the better liar. That’s about as accurate as “JD Powah”. Why let facts get in the way of a good story. The truth is GM brands are still the at or near the bottom of the barrel when it comes to reliability. You had my agreement until the wrastlin’ statement. You’re not going to like the news I have about Santa Claus either. So Consumer Reports founded by Edgar Dworsky the lawyer who also founded Consumer World, in including 18 year old models that are “older, out-of-production models” is not even more misleading? How many consumers even keep their cars or trucks that long anymore and what manufacturer is not going to show their latest models offerings? Ipsos’ results are more in line with the 2018 J.D. Power Vehicle Dependability Study. Do your due diligence people! There is no question that the older GM products are more loved than the older foreign stuff. Love for a product has NOTHING to do with reliability, dependability, cost of ownership, or CUSTOMER SERVICE. You can sugar coat and manipulate data any way you like, but when you talk to REAL vehicle owners, in a REAL sample way, only then the truth will come out. Do your due diligence HA. When ANY of these ” Surveys” are backed by the proof of REAL ownership in a NON bias way, people might pay more attention. Again look at amazon reviews, more people use Amazon reviews because it is a review by a REAL purchaser of a product that allows other REAL people to make up there own minds. You know why you don’t see the foreign brands trying to CONVINCE you there vehicle is better. They don’t have to CONVINCE you, they ARE and WILL show you. They are PROVING it every day with a better vehicle and CUSTOMER SERVICE. I’ve got news for you, or how about link instead! You do know you can change your forum name correct? or, when’s your next GM purchase? This is NOT news for me? I’ll tell you what, can you give me a link to ALL of the customers that your JD whatever uses because I want to read ALL of them MYSELF like Amazon and I will decide WHO I want to believe. And not some ( check spot #1 if you like the new smell of your new vehicle), I want REAL comments, or fake comments. Experiences by REAL people. Because like Brain on this site, he will take GM side even if his doors fell off, and is happy with a GM with a board for a seat as long as it says GM. Because you and I can go ANYWHERE online and read comments. You can NOT go to ANY post on Facebook (just for an example ) by ANY GM brand where there are not ALOT of posts of people having troubles. The great thing is sometimes the REAL people have REAL video of GM troubles that GM does NOTHING to help them except CUT them off. Go on Honda or Toyota and READ for a few weeks, sure you will find some dissatisfaction with some things, but dissatisfaction with design is a preference not a fact. When you need a new torque converter or transmission at 50 miles it is TROUBLE not preference. Do your due diligence, READ some of these sites. Not just the ones you like ALL of them REAL PEOPLE. You can tell who and who doesn’t drive the vehicle they write about on this site, RIGHT. And a lot of times you can find them other places the same person. For instance I am on other sites looking for help for my GM troubles from other GM owners, and I use the same name. When people get ZERO CUSTOMER SERVICE from GM they try to help each other. This is NOT fake. Well if you are TRULY a “lifelongGMowner” with a LIFETIME of “REAL” GM troubles. “REAL video of GM troubles that GM does NOTHING to help you except CUT you off. We, are, all, waiting, nice excuse to why you (won’t) Chang your forum name by the way, as if it give you more credibility! Really is this the place for all the videos and pictures and phone conversations recorded? More credibility I could care less about credibility. I write on sites for CUSTOMER awareness and CUSTOMER SUPPORT. That’s all. This site is for new GM products. If you do a search of new GM products other than GM, this site is next. So I comment my “opinion” of new products based on my “experiences” with new GM products. What you or anyone else thinks matters not to me. I am not going to tell 38 years of my stories, or 88 years of my family stories with GM again. For the most part, and on average I have had good experiences with GM products and GM dealers. I would NOT be driving GM if that were not true. However the last 3 GM vehicles Cadillac ATS, 2015 GMC Canyon, and 2017 Denali HD have been the worst. Between all three I have received more recall letters and CUSTOMER satisfaction letters than the last 25, again 25 GM vehicles COMBINED. Sure some purchased used and some purchased new, but for the most part before 2015 NOT ONE complaint, dissatisfaction, or trouble with a dealer. But since then, HA, its a joke. I have been lied to by a service manager (no longer a service manager), told not to return to the dealer, been contacted and repaid by the CFO of a dealer. I have had some repairs covered on said vehicle, other repairs NOT covered on same said vehicle, ALL with letters from GM. Again some vehicles bought used, some vehicles bought new. All of it makes ZERO since. I call the 1-800 GM number on the letter, that guy says GM will fix it. I take it to the dealer they say they were told by a GM not to pay. So again I don’t care if you want to believe or not. But I want to decide who I believe NOT jdwhoever or blah, blah whoever. CUSTOMERS, PEOPLE. I run a business and know plenty of people who drive plenty of vehicles ALL brands. ALL brands have some troubles from time to time , sure. BUT my Toyota, Audi, Honda, RAM driving people ( REAL PEOPLE who I know personally ) in the last 5 years have had , lets just say , way better CUSTOMER EXPERIENCES than us. Take it, or leave it, matters not to me. But an AD by a company, a company I personally have had XXXXXX with, will NOT convince me over REAL people who I know and break bread with. Still not one shred of proof, just about every one of your post is you bashing GM. How about just one (old) link of you “lifelongGMowner” on another forum showing in the app to an A’s about car problems! When’s your next GM purchase? another forum showing in depth Q and A’s about car problems! Could just be a paid hack..
With a name like life life long is a glaring red light that we have a fraud. If not paid then it is a very lonely person in a basement with no life. Like I posted before. If it is that bad just go to the other side and complain there. I guess when you can’t cut the mustard you have to stir it so that it fits. A new low for the General. Real Fake News. The auto industry is all about misleading the customer and making false claims right down to calling diesels clean diesels (VW) and never shy of using bate and switch strategies at the dealership level. This is not new. And All auto makers do this. Or calling hybrids fuel efficient. What city driving giveth, hifhway driving taketh away. If you are a GMer this is just outright SAD. I work for GM but drive a Ram. Just because I work there doesn’t mean I am going to drive “The Man’s” cars and trucks by default. Sorry but I buy with my dollars what I feel best fits my wants and needs. I’m a Chevy Guy and always have been but I don’t care for this commercial as we all know those other vehicles are very dependable and I would be very Leary to knock them. They were building very dependable 4cyl. Cars way before we were and ours were a little rocky back then. Our technology has caught up now but I still wouldn’t knock them . Find another way to advertise instead of trying to downgrade the competitors. I suggest trying to beat them in something. Maybe if GM made a more reliable or dependable vehicle that would be a start. And then if GM backed it up with some GM CUSTOMER SERVICE, that might be an idea. This AD is just making GM even more of a laughing stock of the Auto industry. Where are the ‘these ads are so real’ fools today? The only thing I like about these “real people” ads is the Mahk videos that always follow. I like Chevy’s, I own several, but these ads are the worst!!!! Every time I see one of these GM commercials I change the channel or turn off the TV. I feel these ads are for the MidWest Bible Belt people or the rust belt people. They tend to believe these kind of ads and will support US auto makers vs Foreign manufactures who by the way build their cars in US plants. Their data is phony and I don’t like companies slamming other companies especially when it comes to auto reliability. My 1997 Toyota 4 Runner with 250,000 miles is still running great with no major problems. Now that is reliability to me. I do look at Consumers Reports when I buy a car. Their data is something I trust. They accept no advertising from products they review. Don’t believe the Japanese propoganda. GM designs most of its vehicles in the U.S.
Last Toyota to be designed in the U.S was the Venza. The vast majority of GM vehicles sold in the U.S are built in the U.S.
For Toyota it’s just under half. GM’s high end models are almost all built here. Low end models get built in Korea. Toyota builds its high end models in Japan. Low end models get built in North America. Every time I see a toyota or honda commercial I change the channel. I have Fords and Chevys with over 200,000 miles no problems with scheduled maintenance.